Improve patient experience by remote monitoring without need to visit place of care. Help patients to self-serve by being able to use more sophisticated devices to look after their condition better themselves. Improve reaction time for changes in conditions, plus the distribution and optimisation of medicines. Providing larger amounts of information (Big Data) to improve knowledge and treatment of conditions. Prevention and well-being: To detect in advance, through the deployment of wearable devices for example, individuals who may be at risk of developing chronic pain. Chronic pain: To empower individuals with, say, diabetes or heart- problems to take better care of their condition. Acute pain: To provide the health provider with large amounts of useful data rapidly when patients are admitted to intensive-care units. Post-acute pain: To empower the patient to monitor the effectiveness or possible complications of acute treatment in the more relaxed and less costly home environment. Wireless Body Area Networks (WBAN) is an increasingly talked about area in medical circles. How it can impact patient care & predict medical emergencies prior to them happening, providing an early warning system for patients with illnesses such as heart disease, diabetes and asthma is of great interest to health care providers globally. A WBAN is a wireless network that includes sensors that are either implanted in, or worn by, the user which can all be networked. The increase in the range of wearable devices looking at factors such as heart rate, blood pressure and activity levels makes this networking approach more feasible and with a lower implementation cost. 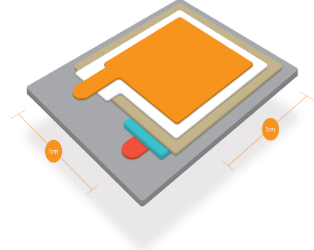 The WBAN will typically comprise two main parts: miniaturised body sensor units (BSU), which work together with a body central unit (BCU). The rapid innovation in physiological sensors, low power controllers and wireless communications has enabled a new generation of sensor networks. 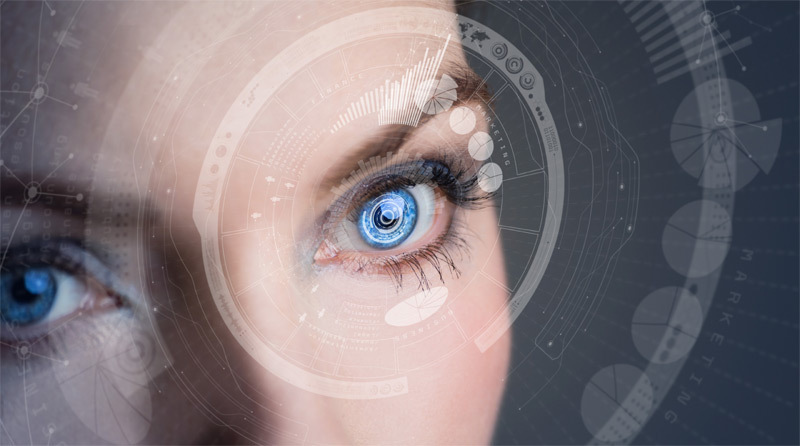 The ability to implant very small biosensors inside the human body or on organs such as eyes can make the patient experience more comfortable and not impair normal activities, while offering constant monitoring. The reduction in the size of sensors and the wider adoption of low power wireless transmission methods have been key elements in accelerating the opportunity to deploy WBAN. The smart lens makes use of many of these technologies. It can be worn on the eye because the key components are positioned around the edge of the eye to avoid interfering with vision. To be able to scale down to these levels requires new degrees of miniaturisation from sensors, controllers and battery technology. Implantables: In vivo sensors for cardio-monitoring (e.g. Medtronic), fluid flow, temperature. Drug Delivery: Patches & implantables, deliver long term medication doses or specific point of efficacy drugs (Replenish). Ophthalmics: Smart contact lenses (e.g. Google, Samsung), cataract correction, tear glucose monitoring, drug delivery. Neurostimulators: Stimulating organs, nerves, vessels or delivering medication (e.g. SetPoint Medical). Cybersecurity is a big issue. Imagine that someone can switch off your pacemaker or wrongly calibrate your blood glucose meter. The impact of that on patients is huge and needs to be controlled. Hence, the IoT Security Foundation has been formed to accelerate developments in IoT security around common standards. Another big issue is communications. 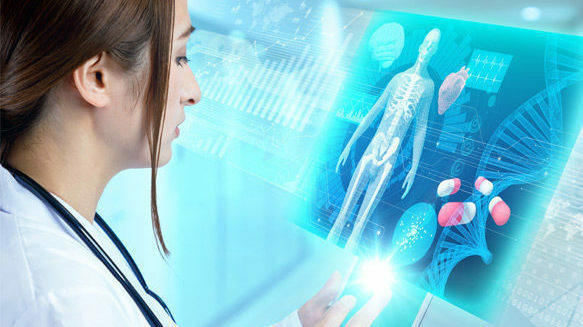 Patients want to be able to use the medical devices without having to think about connectivity, but that means connectivity needs to be seamless, both in the house and outside. Finally, user experience is the single most critical thing. A smart, connected device has a digital and a physical user experience, which is more complicated. Ultra-thin profile: active part of a single Stereax cell is only 10 microns thick, with 50 to 100 microns of encapsulation on top. Depending on the substrate used, these batteries are only a few 100 microns thick. Various footprint shapes including custom sizes. 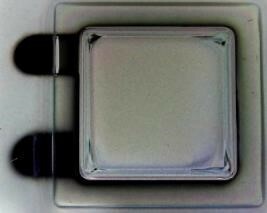 Stereax patent-pending SSB-stacking adds capacity. Potential to withstand autoclave temperatures. Potential for biocompatibility and 0% toxicity. No lithium metal at any stage of cycling. Figure 1: Graphic representation and photographic picture of 250 µAh Stereax solid state battery. A bio-safe source to power sensors and wireless communications is vital to the success of WBAN. Ilika’s Stereax battery technology could be a biocompatible solution that is particularity useful for powering ongoing monitors such as for glucose & blood pressure measuring. The batteries can be recharged using inductive charging probes, thus reducing the need for external wiring or the risk of the battery running out of charge. Ilika’s Stereax batteries are packaged in materials that have been tested for potential cytotoxicity effects by NAMSA, France, following the guidelines of ISO 10993-5, Biological Evaluation of Medical Devices, Part 5: Tests for in vitro Cytotoxicity. The extracted solution in Eagle Minimum Essential Medium (EME10) was added to fibroblast cells and cell viability was measured to be 100%. Hence, no cytotoxic potential was detected. This biocompatibility test evidences the potential for Stereax solid state batteries to be used in medical applications.